Hiring a limousine service on your next business trip may have never crossed your mind. In fact, you may only think that limousines make for a useful feature on a wedding, prom night or some other such festive event. However, getting a limo service on your next business trip is actually an excellent option. Convenience – one of the first things you should consider about a limo service is just how convenient it is. The limo driver will take care of the route and traffic, leaving you to enjoy the trip and do whatever you want in the meantime. Your ride will be a single phone call away, waiting for you at a designated pick-up location. It won’t be long to find out just how convenient it is when you don’t need to rely on a taxi or to try to figure where to park your car. 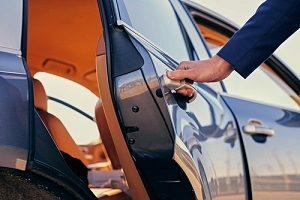 Limo chauffeurs know what they are doing – as it was already mentioned, part of the reason why limousine hire is such a remarkable service lies with the professional chauffeurs. They are well-trained to make the service even better than it is. Not only can they meet you at the airport, if you are taking the limo there, but also ensure that you have a great time. They will open the door for you and choose the best route to your destination. You can use the time for productive purposes – another great reason to hire a limousine on your next business trip is that you can utilise your time better. Since you will not be engaged in driving, you can do whatever you want for the duration of the trip. For example, if you are giving a presentation, you can use the time to practice your speech or do further research. After all, you will be seated, so you have every opportunity to do something productive. You can save yourself a lot of time – when you book with a limo company, you will be saving yourself a lot of time. You know precisely how unreliable public transport can be, as they can be delayed. Instead, a limo service ensures that you get anywhere you want, without any delays. They will pick you up from a chosen location at the right time and navigate the area professionally to drop you off where you need to be. You will make a great impression – when it comes to doing business, sometimes first impressions can be everything. There is no better way to make a solid first impression than to arrive in a classy limousine. Your partners will be more than impressed and know you mean business. As you can see, there are quite a few benefits to limousine hire on your next business trip. You will wonder how you have managed without it.